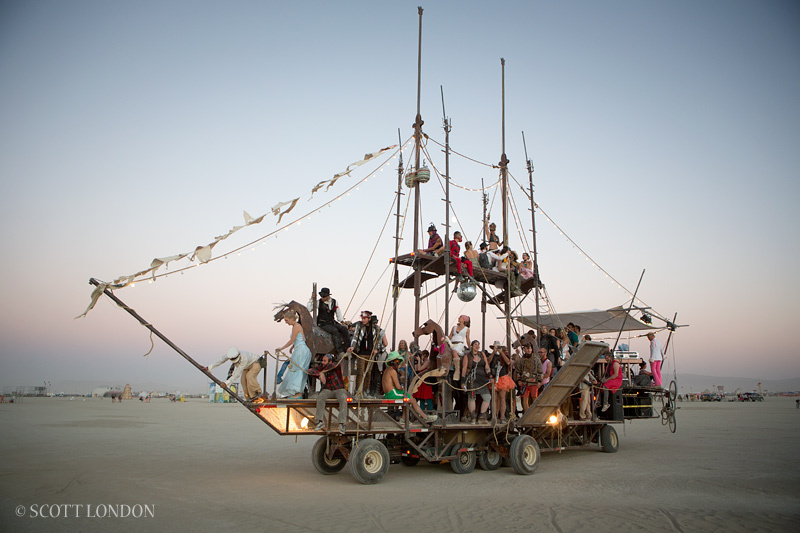 A Cavallo is an art car, burning man theme camp and a community of artists based out of Brooklyn, NY. This project started in 2007 and was revived in 2011 to be finished in 2012. 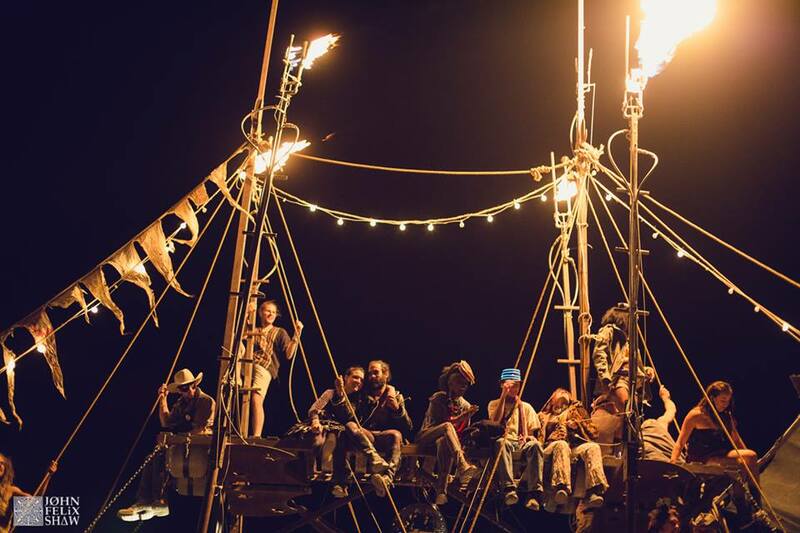 The original design was created by engineer Quill Hyde and built by a multitude of friends, artists and other supporters. The final rebuild was done by Quill and his brother Barley Hyde of Hyde Made in 2012. 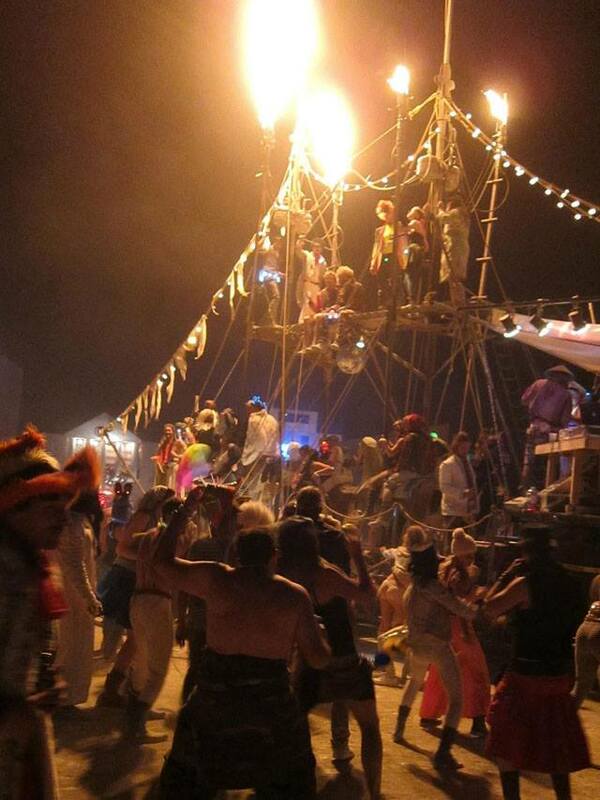 As a group we produce parties, events, and fundraisers in Brooklyn, NY. The carousel travels in a variety of festivals, street fairs, and public events. 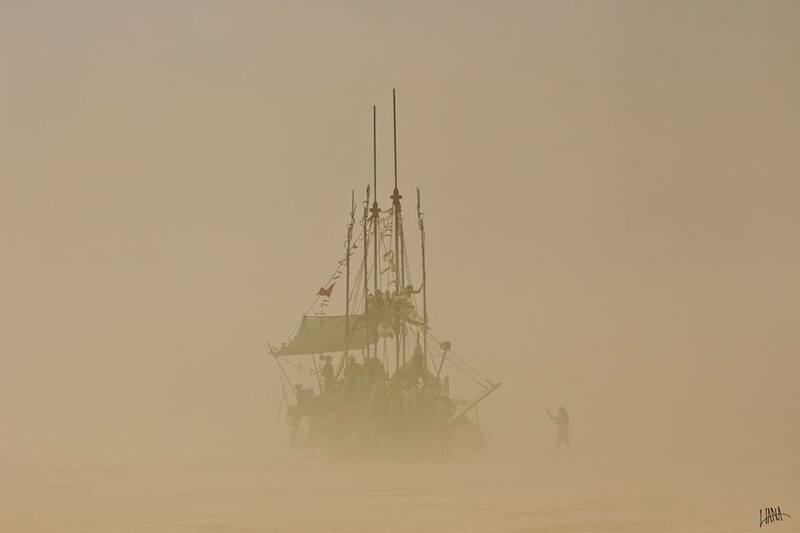 Resurrected, Acavallo now sails the dusty plains of Burning Man every year. In 2012 we were able to visit other festivals for the first time before returning to her resting place in Washington State. Our goal is to bring her to the east coast to continue our reign of playful debauchery.